It's almost time to say goodbye to another season in Ibiza.. and what a season it's been. The 2017 season has seen one of the best on the Island, with parties hosted by an array of DJ's and producers – all with killer residents and acts to boot. 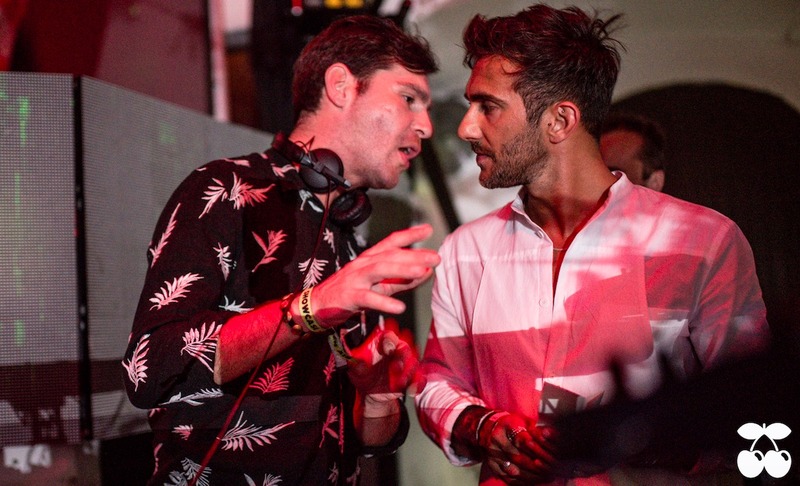 One of these parties is Labyrinth at Pacha, hosted by Leeds favourite Daley Padley aka Hot Since 82. Taking over Fridays at the infamous super club, Daley has been showcasing his talents as a selector of tracks and of residents with a five-star line-up every week. Matthias Meyer is the German DJ who has joined the likes of La Fleur, Sasha and Cassy in Pacha. EARMILK spoke to Matthias, who held his resident status for 6 weeks, and asked how he got there. "I have known Daley for some time now, he has always been a supporter of my music. I did a remix for him years ago and I’ve played a lot of his Knee Deep In Sound showcases around the globe. I also played at his birthday last year at Destine. Over the years we’ve become more connected and at some point they asked me to join Labyrinth. That was a fantastic moment – it means a lot to me." Alongside Matthias and the aforementioned DJ's – other DJ's have delivered amazing music in Daley's twist on the cherry world that is Pacha. Eats Everything and Derrick Carter both appear at two dates, as well as special guest appearances from Carl Craig, Goldie and Dennis Ferrer. A broad spectrum of sound, Matthias explains which sets have that little bit extra for him. "They all looked very promising. I was definitely looking forward to the one with Pete Tong and Carl Craig as I am damn big fan of them, and it was an amazing night. Other than that, maybe the one with Dennis Ferrer. For the last 10 years or so I have always had a Ferrer record in my bag, and I’ve never met him personally." Back in his home country of Germany, Matthias hosts a residency at Berlin's Watergate alongside other dance floor heroes including fellow native Butch. Hosting his party every Thursday at the legendary nightclub, as with Labrynth, there's always a memory that makes those certain nights stick in his mind..
"I’ve had so many crazy nights in the last few years so it’s pretty tough to name those ones! However, recently I played with my old hometown friend Solomun and that was pretty special. I played 5 hours on the Waterfloor. After he was done with his set upstairs he came down and we played another 4 hours b2b and afterwards I played another 1 hour with him on the dance floor. We closed at 3 pm in the afternoon. That was a massive ride and a great party!" Meyer is a DJ providing diversity in his sound. Alongside playing with Solomon, guests at Meyer's residency have included the likes of Behrouz and Nick Curly. With the portfolio continuing to build, he's contributing a track to the 15 years of Watergate compilation as well as remixing Butch's hypnotic 'Shahrzad'. "Recently I watched an amazing movie called Lion which had a great soundtrack. I have always been a big fan of orchestral and ambient music, so I started a track which was influenced by this. I asked my friend Ryan Davis (who I did a remix for last year) and he wrote some string scores and sent the audio back and I finished the track. I am pretty happy with the results. You can really hear the influences from the soundtrack but it still sounds like us. With Butch, I was a big fan of the original track but the best part for me wwew the epic strings and pads in the break. I wanted to make a version with more melodies over the whole track and a hypnotic groove that I’m always try to reach. It went well and it has always been a highlight in my sets over the last year."